Yes with under a month before Valentine’s Day is upon us, we looked at two stories related to the day when lovers of the world will be united. 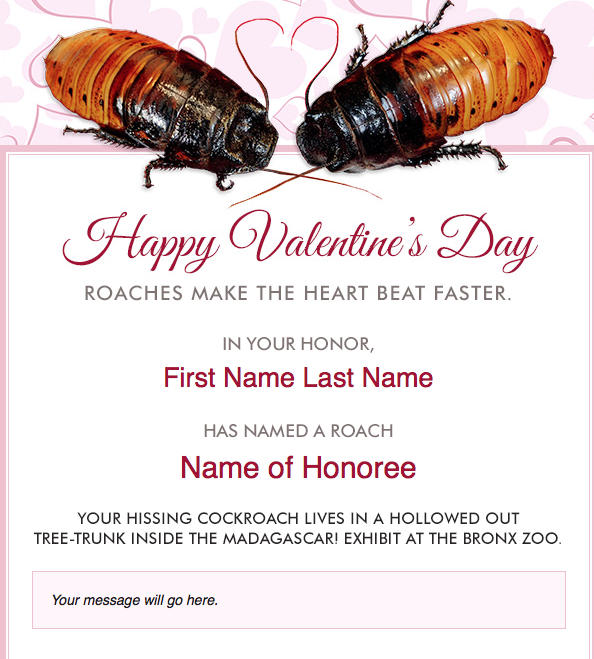 Those who have recently ditched, or been ditched by their partners, have not been forgotten this year as the Hemsley Conservation Centre is offering people in this category the chance to adopt and name a cockroach after your “ex” for a nominal fee of £1.50. For this you get the chance to select one of the creatures, name them after anyone you like and because the name will be displayed next to the appropriate creature, you can always visit the insect-version of your ex to say “hi”. If you take part, you’ll also be sent a gift certificate as a keepsake – but the name won’t feature on it as the conservation centre doesn’t want to “fuel fires”. However, if you wish you can add their name in the comments section on the certificate as a helpful reminder of why breaking up was really a good thing. 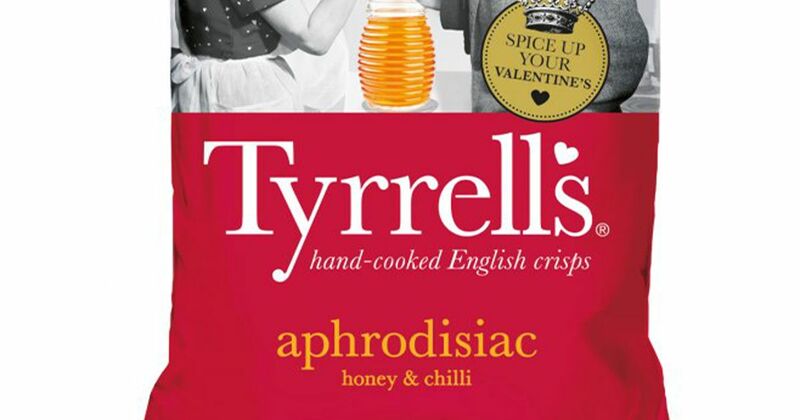 At the other end of the scale the potato crisp making firm, TYRELLS have just launched an new late night treat of aphrodisiac crisps. The manufacturer claims that the crisps, which will be available for just a short time, are guaranteed to get the pulses racing. Apparently they contain sweet honey which the makers claim will tinker with hormone levels, and chilli spice, which will supposedly trigger the nerve endings on the tongue. The combined effects of these two ingredients will, we are told, release endorphins and increase the heart rate. So maybe curl up with your loved one on Valentines night, share a pack of these crisps and it won’t be only the chips that go down!